On May 16, 2016, the final piece of the Jumpstart Our Business Startups (JOBS) Act took effect and drastically changed the investment landscape by allowing equity crowdfunding. Equity Crowdfunding is a way for a large number of individuals to invest in a startup, for as little as $100 each, in exchange for a share of the company’s value. Four years in the making, the new rules now allow companies to raise money online by accepting investments from both accredited investors (the 2 percent of Americans worth at least $1 million, who earn more than $200,000 per year) and unaccredited investors (the 98 percent of Americans with less wealth). This new investment model could have huge implications for cleantech entrepreneurs, and everyday Americans who want to participate in the next big energy innovation. The JOBS Act combines a Kickstarter campaign model with an Initial Public Offering (IPO) – the traditional method for a private company to first sell stock to the public – and captures the best elements of each. Like a Kickstarter campaign, the JOBS Act creates an enormous new capital market for entrepreneurs, increasing the number of eligible investors fiftyfold. Beyond enabling companies to raise money from the public, and like an IPO, equity crowdfunding turns customers into investors and brand ambassadors. Perhaps even more impactful, the JOBS Act allows the average American to invest in private companies. 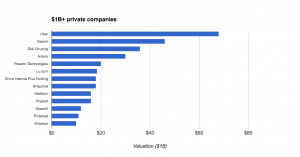 There are currently 169 private companies valued at over $1 billion, for a total cumulative valuation of $619 billion. Because of investment restrictions, 100 percent of that wealth creation benefitted individuals who were already rich. The JOBS Act changes this, and enables people who don’t already have wealth to finally participate in the returns of the next $1 billion startup. Equity crowdfunding establishes a new path to capital for entrepreneurs from many industries, geographies, and demographics – crowds that have been overlooked by traditional methods of raising money for new businesses. Perhaps no sector is set to benefit more than cleantech. 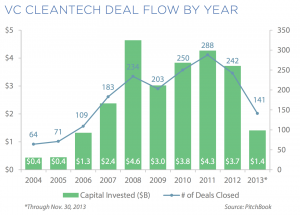 Since the “cleantech bubble” of the late 2000s, venture capital firms (traditional institutions that specialize in new business investments) have shied away from early-stage cleantech companies. After generating more than $4 billion per year from 2008-2011, investment in new clean energy businesses has plummeted, barely reaching $1.2 billion in 2015. Where there was once great promise now lies pessimism, and “sustainable” is seen as a counter-factor to growth. However, Morgan Stanley has discovered that interest in sustainable investing is growing, not among venture capital firms but individuals. 71 percent of surveyed individuals expressed interest in sustainable investing, with 65 percent expecting to invest more in sustainable industries during the next five years. Additionally, women and millennials – two demographics severely underrepresented on venture capital investment teams – are both twice as likely to care about sustainability when making investment decisions. The result of all this is a confluence of positive forces that could jumpstart investment in early-stage cleantech. New startups are emerging with creative, environmentally-positive business models, while at the same time, investor sentiment is shifting towards eco-conscious and mission-driven companies. The JOBS Act simply provides the spark to ignite this next phase of growth. In 2009, debt crowdfunding (where the investor purchases a fixed income security tied to personal loans) emerged as a new capital market, propelled by companies like SoFi, Prosper, and LendingClub. In just five years, the “Marketplace Lending” market grew from $880 million to more than $34 billion, and is projected to reach $230 billion by 2020. Many expect similar growth for the equity crowdfunding market. In fact, Goldman Sachs measures the immediate financial opportunity available through equity crowdfunding at $1.2 trillion. 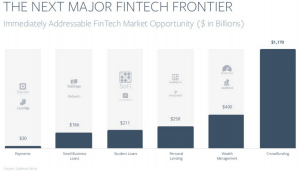 That’s more than what’s expected for payments (Square and Venmo), small business lending (Ondeck and Kabbage), student lending (SoFi), and consumer lending (Lending Club and Prosper) combined. And where do cleantech companies fit in? Well, the largest and most successful equity crowdfunding campaign to date was from Elio Motors, an electric car company. Elio raised $17 million from more than 6,000 investors, and is now worth more than $500 million. Not every startup will be the next Elio, Tesla, or Uber, and investors should understand the risks of early-stage investing. But the opportunity presented by the JOBS Act should invigorate cleantech entrepreneurs and investors alike. Andrew Strong is the VP of Strategy & Business Development at LOHAS Capital, a crowdfunding solution dedicated to companies in the cleantech and sustainability sectors. 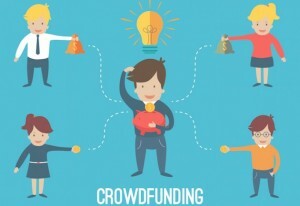 Entrepreneurs can contact LOHAS to learn more about equity crowdfunding. Sign up for the LOHAS sustainability investing mailing list and be first to know about new opportunities. This entry was posted in Energy Financing. Bookmark the permalink. Both comments and trackbacks are currently closed. Quick correction – Elio is in fact not an electric car, but an extremely efficient, high MPG gas combustion vehicle. It’s 84 MPG I believe due to its aerodynamic frame and low weight – supposedly the ultimate commuter car. It is not an electric vehicle, however. You can also use Rayton Solar in your example, a solar panel manufacturer that is using a particle accelerator to heavily reduce the cost of silicon production and making the panels themselves more efficient. See their campaign here: http://www.startengine.com/startup/rayton-solar. From time to time, EDF invites top experts to author guest posts.  Since these authors vary, we use this standard author bio profile for guest posts. For more information about this author, please see his/her short bio at the end of this post.